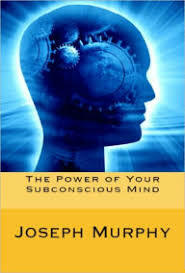 One of the books I devoured on my vacation is, “The Power of Your Subconscious Mind” by Dr Joseph Murphy, an oldie, but goodie. One of his key messages is that our subconscious minds are very susceptible to suggestions from our conscious minds, positive or negative. The subconscious mind doesn’t argue or discriminate, it takes in any messages and goes about its business of bringing the corresponding conditions about in our bodies and lives. Our subconscious minds are responsible for the running of all our physical processes, our heartbeat, breathing, digestion, elimination and so forth. If we hold a conviction true and keep affirming it, for example “Every woman in my family had breast cancer, so I will get it, too,” then the likelihood of actually getting breast cancer increases, especially, when the suggestions have been fueled by fear and worry. This also works in reverse – powerful positive beliefs that the conscious mind believes can lead to seemingly miraculous healing. Dr Murphy recounts several amazing healing stories in his book. This is also one of the reasons, why placebos are so effective. I got a cold leaving Sydney, and noticed myself thinking “If you do nothing, it takes 7 days to get over a cold, and it takes a week, if you treat it.” I had unwittingly sentenced myself to a weeklong cold!!! As I went out on a snorkeling trip to the outer reef opening to the open ocean, I noticed myself thinking, “I hope there are no sharks,” and visualized a possible shark attack. Yikes! Do I really want to attract a hungry shark into my life? As soon as I realized what I was doing, I diverted my thoughts to affirming safety, trust and having a fun time. Thank goodness, I experienced the latter! How often do we play worst case scenarios on the screen of our minds? Maybe even repeatedly? Let’s not forget that we are powerful creators! What statements do you notice yourself repeating—statements that may not serve you?